OHROPAX flight are the perfect companion for a very pleasant flight. The earplugs featuring a patented special filter are specially designed for flying, and they offer peace and quiet as well as regulate pressure equalisation between the ear and the cabin during take-off and landing. The earplugs ensure pleasant sound insulation in the central area, where verbal communication is still possible.  At the same time, the patented special filter regulates pressure equalisation between the ear and the cabin, thus counteracting the often unpleasant fluctuations in air pressure during take-off and landing. 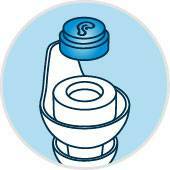 For travellers with smaller auditory canals, each pack contains a second pair of slightly smaller earplugs, into which the filter can be inserted if necessary. 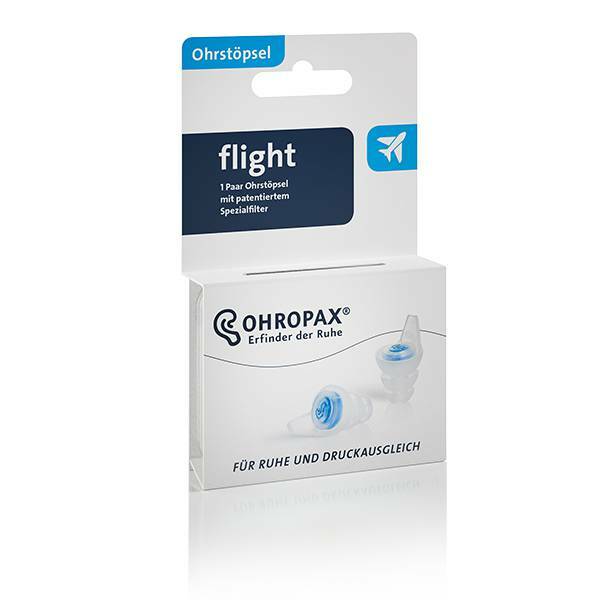 OHROPAX flight earplugs are also suitable for children from school age onwards. The earplugs are washable and reusable.